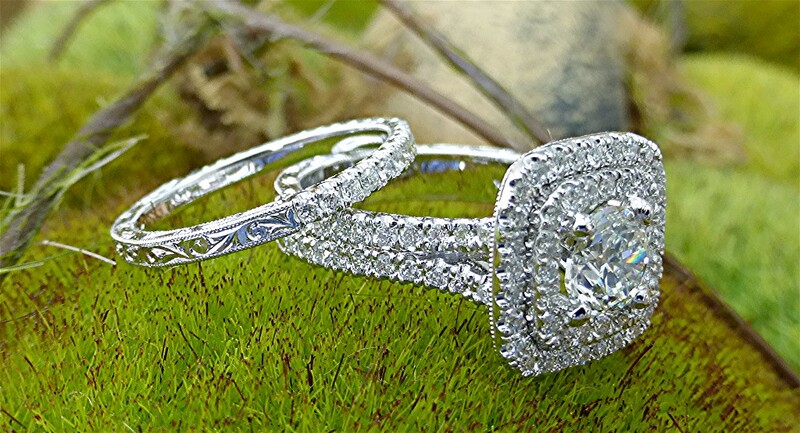 Dozen mix lot of customer diamonds are used to make a 14k white gold bypass ring. 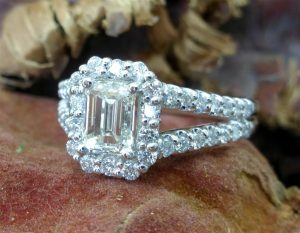 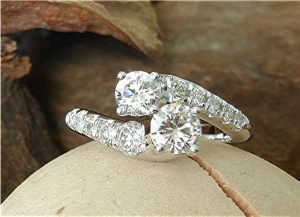 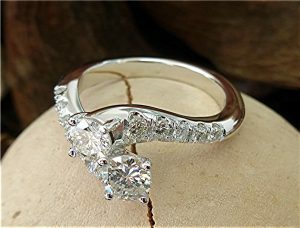 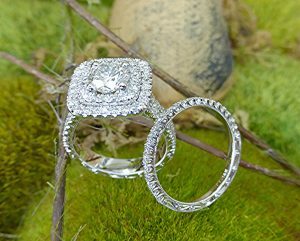 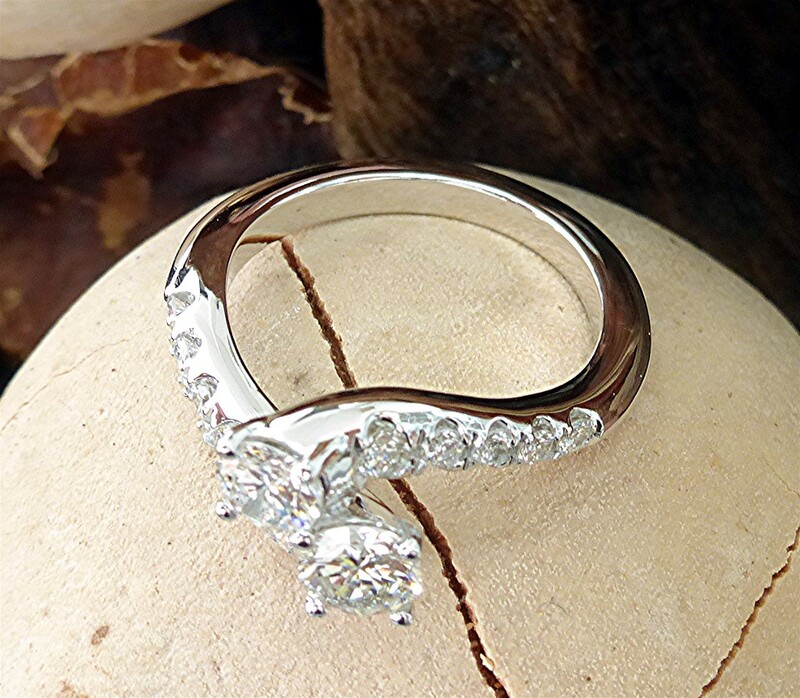 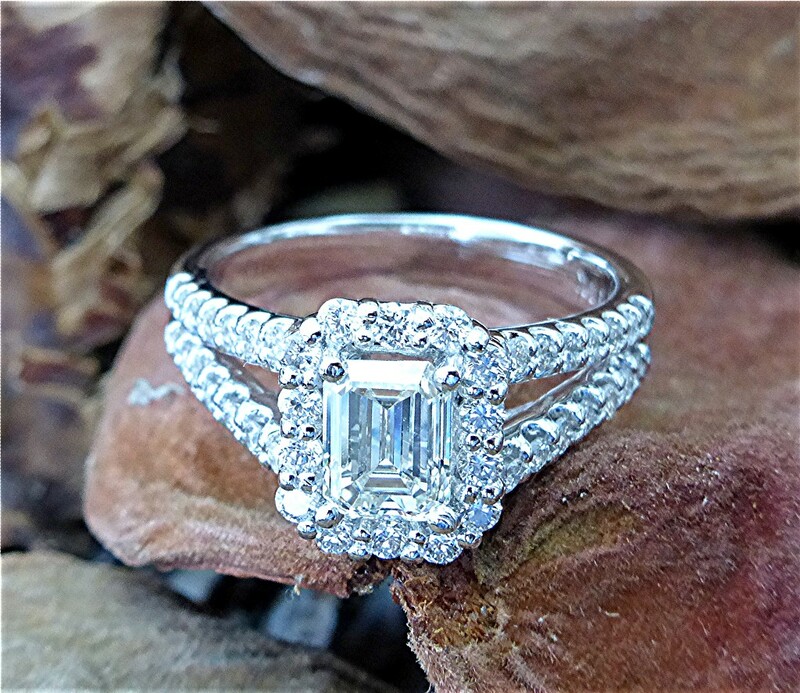 ten stone is U cut set on the shoulder and two remain larger size prong set in the center. Center stone is 0.93carat RBC, G/H color, VS clarity diamond (Came out from old ring), mounted on 14k whit gold mounting with double halo with 47 RBC, G, SI1, Micro U set, diamonds and 40 more RBC, same quality on split shank, totaling 0.76carat. all over the ring is beautifully hand engraved with scroll deign. 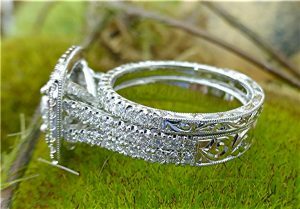 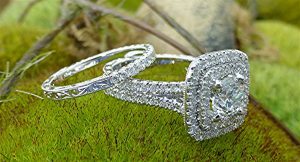 Straight 14k white gold matching band is set with 22 RBC diamond totaling 0.24cart with same hand engraved scroll design. Center stone is 1.05carat emerald cut natural diamond measuring 6.55×3.93×3.54 mm, I/J color, VS clarity, mounted on 14k white gold mounting with 14 RBC, prong set diamonds on halo and 28 RBC, U cut setting on split shank for total of 0.77carat.